Just enter the code MEDES10 during the registration process. Be a part of it and enjoy with us the Natural Park of the Medes Islands! The crossing has two tracks, one of 1,500m and another one of 2,500m. Participants will be able to compete in either of the two swim or in the two of them. The first start will be that of 1,500m at 9:30 a.m., while the second start, that of the 2,500m, will be at 10:30 a.m.
All swims will be in Mar Bella beach. We encourage everyone to participate in this open water swimming day that will surely be very Christmasy! We have no doubt that we will see him in Fukuoka in 2021! The brand born in Australia shows an unequaled passion when it comes to everything related to the sea and open waters. And so it is shown by supporting another year for the solidarity journey of Neda el Món. This weekend a group of swimmers will leave to Sardinia to explore the coastal area between Isola Maddalena, Costa Smerlda and Isola de Tavolara. It will be four days on board a sailboat where we will swim in crystalline waters and coves in a paradisiac environment. If you would like to receive more info on this expedition contact us. On June 16th, a group of swimmers and swimmers flocked to the island of Sa Dragonera. For two years now Neda el Mundo opts for a smaller format of passage that aims to claim the enjoyment of the sea, rather than the competitive aspect of open water crossings. This year, the participants of the swim were able to swim in a practically flat sea and with unbeatable wind conditions. The jellyfish took their heads mainly to the final part of the journey and made the guitza some swimmers and swimmers, who brave, completed the 9,500 meters of course. Thank you very much to MallorKayak to come and support our swimmers, and THANKS, swimmers for your confidence! 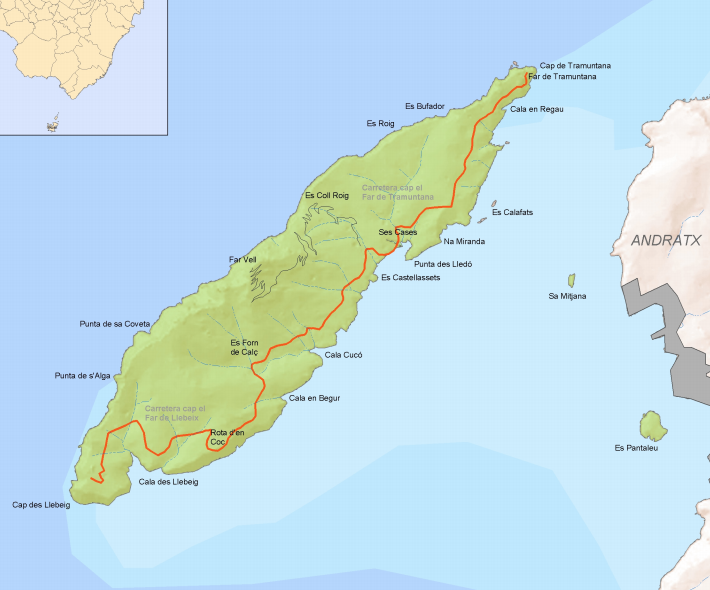 On October 7th, it will take place the 1st Neda el Món Swim Run Llançà – El Port de la Selva that runs along the Costa Brava North and has two distances: 10K and 28K, being the starting point the beach of Llançà, and arriving at the fishing village of El Port de la Selva. The distance of 28K passes, in one of its sections, by the Paratge de l'Albera, a protected natural area of scenic interest. Ajuntament de Llançà, Ajuntament del Port de la Selva, Ajuntament de Colera, Club Nàutic El Port de la Selva, Sala Salut. Click on the image to see the track. On June 16th we will swim in Sa Dragonera! Sa Dragonera is located in the westside of Mallorca, opposite the western coast of the municipality of Andratx, and very close to the town of Sant Elm. It is a discreet little islet, which has the beauty of home-made things. The Sa Dragonera Natural Park is formed by the islets of Es Pantaleu, Sa Mitjana, and the Calafats reefs. It is one of the Balearic islets with the greatest conservation interest due to its bio-ecological and landscape aspects. Without a doubt it is a spectacular swim! 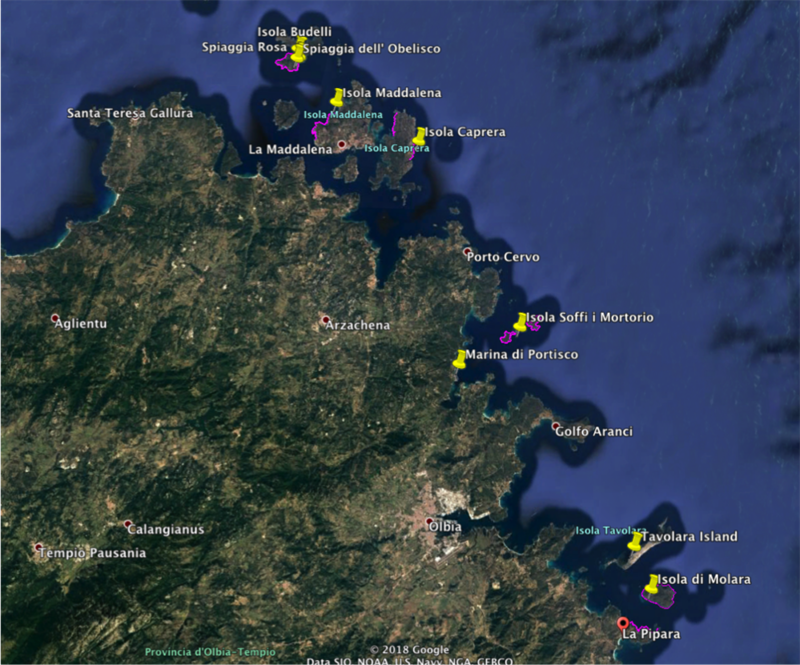 The area where we will swim, Sa Dragonera, is a long islet (4 kilometers) and quite narrow (one kilometer maximum), with a surface area of ? ?288 ha and 352 meters high at its peak. It is a prolongation of the Serra de Tramuntana, and it reproduces on a small scale the basic structural features of it, inclined towards the southeast and cliffs to the northwest. On June 16 we will swim around the Sa Dragonera Park on a 9.5K crossing. If you want to register, do not hesitate and click here. Here you have the results of the Swim Barcelona by Neda el Món. See you in our next swim: Swim Sa Dragonera! The eighth edition of Swim Barcelona by Neda el Món was held yesterday in a day marked by complicated maritime conditions, which forced the Neda el Món team to do a shorter swim in a controlled area on Mar Bella Beach. The swim could finally be carried out in Mar Bella in a 1.500m circuit. Swimmers of the 5.700m swim made three laps around it, while participants of the 3,600m did two. In addition, the Sports Council of Barcelona and Neda el Món organized short 50m,100m and 200m swims for young swimmers. A total of 180 children could swim yesterday in Mar Bella. The Kids race were also affected by sea conditions. In their case they were carried out on the right side of the breakwater of Mar Bella, where the sea was much calmer. We take this opportunity to thank all the participants for their assitance, Neda el Món's Sea Operations team and the coastguards. Also, we would like to mention our partners: Zone3, Nutritape, VITAM, SafeCare, Tuath Studio, El Quinto Meta, el Centre Municipal de Vela i l'Ajuntament de Barcelona, as well as all the volunteers who made the event possible.